I wish I could write about travelling to Block Island by ferry, and about doing kirtan in a seaside church. I wish I had written something about the beauty of Maine as the leaves begin to change colour and about a magical day in Boston. I’m just so tired! This tour is non-stop, and blogging is normally the last thing on each day’s to do list. Gaura has been capturing some great moments on his iPhone. Maybe video blogging is the future for the Little Conch. A video may not have the same power as words – but who has time to write these days? Sometimes I just miss home. When I was little we used to play a game called ‘Go Go Govinda’. It was basically a Hare Krishna version of a regular game, where one person stands with their back to a line of the other players who are trying to reach him by moving slowly. He chants ‘Go-go-go-go,’ and when he says ‘vinda!’, he turns around and everyone has to freeze. I don’t know what the regular purport to this game is, but I always imagined that Krishna is sneaking up behind the person, and he can hear him, just over his shoulder, but if he turns, Krishna freezes. It reminds me of the story where the deity of Sakshi Gopal Krishna agrees to follow the brahmin to testify to his promise, providing he doesn’t turn back and look. As the brahmin walks, he can hear Krishna’s ankle bells tinkling behind him, but he has to keep his eyes on the road ahead, though he knows Sri Krishna, the most beautiful is right behind. 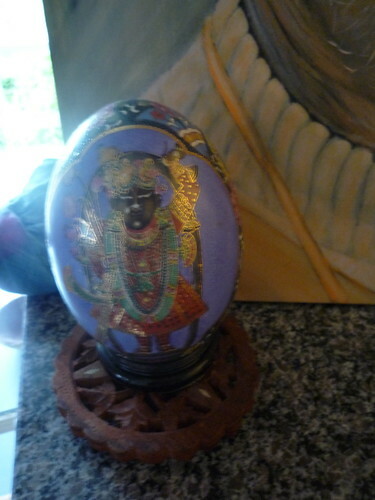 This summer I’ve felt a little like I’m being followed by Sri Gopal – or maybe I’m pursuing him. 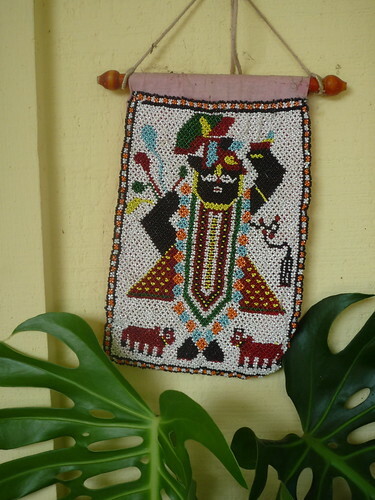 He has bookended my journey, and appeared along the way too – sometimes behind me, and sometimes in front, so charmingly smiling as he glances downward. 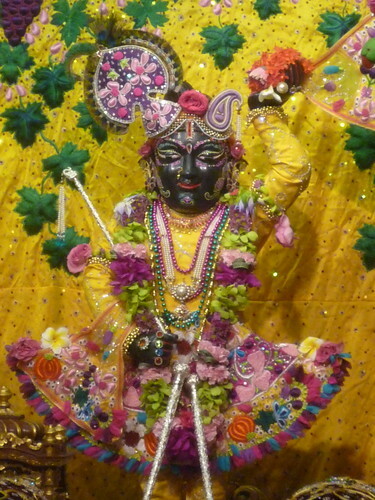 We don’t worship this form of Krishna so much in ISKCON temples, I suppose because we emphasise the worship of Radha and Krishna together on the altar. The first day that I arrived at Avatar Studios, where Gauravani recorded the As Kindred Spirits album, he took me up to see the resident deity of Gopal. He was astonishingly beautiful, and I prayed to him I would be able to do something useful by taking part in the Mantralogy tour. 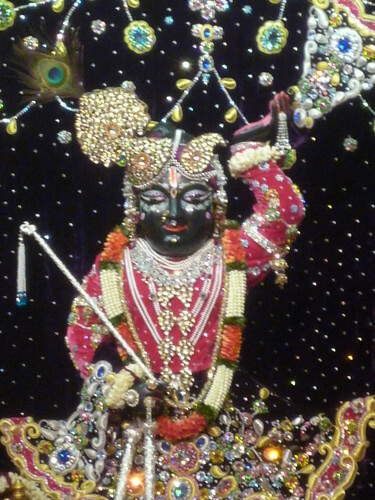 His form remained in my mind, and I was so happy to see him again when we went to Chowpatty temple, in Mumbai. 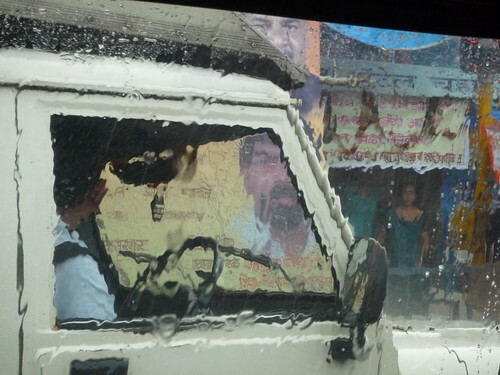 There the intensity of our tour reached a new high, as we drove back and forth to rehearsals and press engagements in the monsoon heat, almost always returning home at midnight. Every morning I would sleepily go and see the deities, and the serene smile of Gopalji felt like a soothing balm. I prayed to him in my tired state, feeling as if I was just going through the motions. cool breeze before the heat descends. water fills the crowded street. I pause to see your lotus feet. as this new rain on the kadamba trees. with arms upstretched, or an extended trunk. Why does my prayer sound hollow still? Dear Gopalji, you hold the key. Please see my droplet of sincerity. like this relentless downpour, and wash the grimy pavements of my heart. I wish to be your servant. 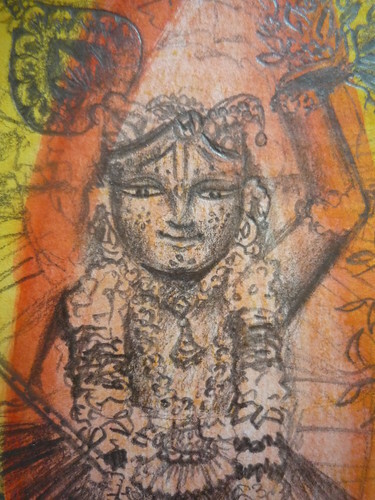 Before we left, I drew a picture of him, and gave it to Radhanath Swami. 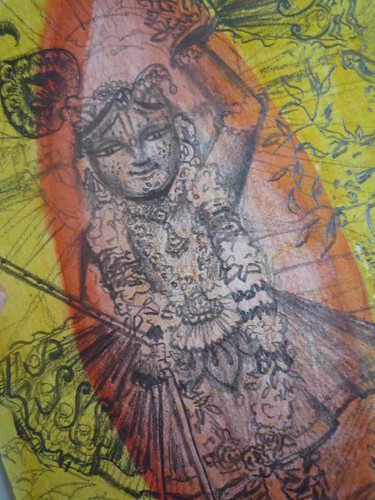 When we went to visit Giriraj Maharaj in Santa Barbara, I was so inspired to see the many images of Gopal around the property, and lost myself in the most beautiful illustrated book about the daily worship of Gopal (Sri Nathji) in Nathdwara, Rajasthan. Together with my friends Mandali (Gopalji’s pujari in New Vrindavan!) 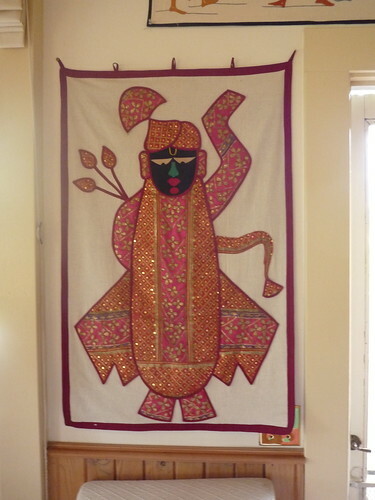 and Sachi, I made a sand Gopal that evening on the beach, and we meditated on how the ocean would rise to wash his feet, as we gave him shells for eyes, and ornamented him with seaweed garlands. Now I’m back in DC, and the rain is falling again. I am blessed to be here, and I feel Gopalji is standing right behind me. My prayers are far from sincere, but with his mercy I continue to chant ‘Go-go Gopal!’ Tomorrow we leave at 5am for Block Island, where we will be performing kirtan for the first date of the ‘Roots and Wings’ tour, with drummer/poet John de Kadt. The past two months have been intense, non-stop, eye-opening and educational, as I’ve travelled across America in a white van with the ‘Gaura Vani and As Kindred Spirits’ kirtan band on our ‘Mantralogy’ tour. We move from place to place, usually stopping for no more than a day to perform kirtan a diverse range of settings – from nightclubs in New York, to devotee homes and temples, to an array of different kinds of yoga studios (where kirtan has become very popular, both as a stand-alone event, as well as a live accompaniment to asana classes). The reception from the people we meet has so far been great. It’s an incredible feeling to see people being touched by the experience of chanting – sometimes for the first time. In New York a lady came up at the end of a rip-roaring evening of kirtan and handed us a letter. We opened it later on in the van, and were moved to read her outpouring of gratitude for the appearance of kirtan in her life. She explained how riding her bike one day after listening to our kirtan, she was suddenly struck by the deep realisation that God is personally present in the names ‘Hare Krishna’ and feels that her life has been transformed since this moment. Other people have expressed similar stories. I definitely feel we can’t claim to be responsible – of course this is purely by the mercy of Srila Prabhupada and Lord Caitanya, but I am praying that somehow, we are acting as instruments for their will. In the past three weeks we travelled first to England for the Janmashtami festival – my first at home after three years of being in America for the summer on the Krishna Culture Festival bus tour. It was wonderful to come home and share what I’ve been doing with all of my family and friends. I felt such a strong sense of unity as we all joined together to celebrate the festival, and had many hours of joyful, moving kirtan together. When we did kirtan on the main festival stage, I’d look out and see the most incredible variety of people – from close family and friends of all ages, to local villagers, to Gujarati grannies (who we actually got to clap and sing – much to our surprise). Our brief stay culminated in a final stage kirtan, after which we were whisked out to the car park and driven straight to the airport to fly to Mumbai, where we would be performing a kirtan concert for a special launch of Radhanath Swami’s book ‘The Journey Home’. We arrived in India to masked faces – Mumbai was in the grip of a swine flu scare. Luckily we were unaffected! We had an intense week of rehearsals with local musicians and also did several other types of programs in between, including appearing on Radio Mirchi, with Jeeturaj, India’s no.1 DJ. He has a huge influence on the youth of Mumbai, both in his recommendations in music and film. He was very eccentric, but a lot of fun too, and he was completely amazed to learn that all of the band members had been born of devotee parents. When he learned that all the girls knew how to put on saris and that we could all sing in Sanskrit, he almost fell off his chair! There was a lot of media interest in our project, and we did many interviews and photoshoots with various newspapers. 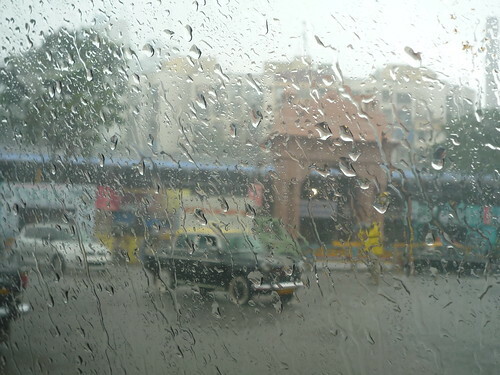 It was my first time in Mumbai, and first experience of Indian monsoon season. The rain would normally start at about 6.30 every morning – with barely a minute’s drizzle, it would suddenly be coming down in an almighty torrential downpour, hammering down on the temporary tin rooftops that cover the open air courtyards and rising to ankle deep level in the street. Within the grounds of Radha Gopinath temple, an oasis in the heart of the busy city, it was wonderful to watch it wash the leaves of the kadamba and tamal trees, sending the birds high up into the shelter of the canopies. Inspiring and beautiful to meditate upon the analogy of the spiritual master’s mercy being like this downpour of cooling rain as we burn in the forest fire of material life. I started out this summer with all good intentions. I would blog every week, typing thrilling tales for my friends and family about everything I have been seeing and experiencing. Obviously, that didn’t happen. When you’re on the road every day, driving hours and hours to the next kirtan concert, or just the next Wal Mart, good intentions aren’t enough to motivate blogging. So here I am, after almost three months, apologising. I hope I can start this up again, because if for nothing else, I hope that blogging is one way to keep some sort of connection with those that I care about. It’s not always easy to find the time to write personal emails, but hopefully I can attempt to share something in this way. Today I am in Washington DC, having just flown in from LA last night. Saturday night was the official last performance of the summer Mantralogy tour, at ‘Bhaktifest’ in Joshua Tree, California. We have been performing and travelling in California for the past two months, with a brief whirlwind trip to London and Mumbai inbetween. I am lost for more to write at the moment. For now I’m just enjoying the brief pause in the tour, and appreciating the rain falling outside. 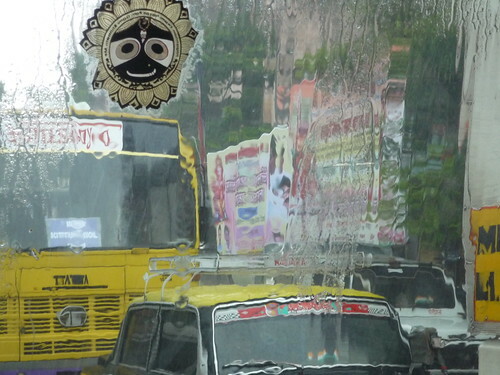 It’s been weeks since I felt rainfall – in Mumbai during monsoon.